Presented by the Upstate Shakespeare Festival Thursday through Sunday on the above dates in beautiful Falls Park on the Reedy. Showtimes are at 7:00pm. Seating begins at 6:00pm. A classic political story is just right for an “anything but classical” political year! 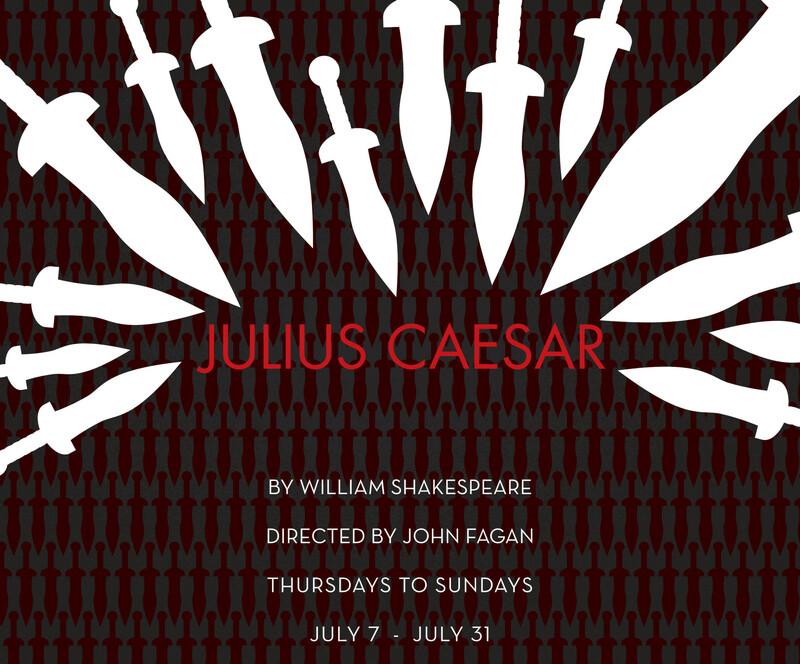 Conspirators, some high-minded like Brutus, plot the assassination of the dictator Julius Caesar to save the Roman republic from tyranny. It’s the Bard’s work that brings the phrase “watch your back” to a whole new level. Featuring Sarah Anderson, AJ Davis, Jenni Baldwin, Ryan Barry, Richard Beveridge, Jason Bryant, Nathan Coffey, Simon Crowe, Robert Fuson, Kate Evans, Kia Fisher Keyton, Dixon Graham, Rachel Jeffreys, Mabel Kitchens, Dave LaPage, Autumn McNutt, Maury Reed, Brian Reeder, Christiana Reubert, Dan Robbins, Brianna Rodriguez, Drake Shadwell, Graham Shaffer, Jimmy Tillery, Skyler Tipton, Cameron Trieper, Chilkondra Williams, and Clark Nesbitt as Julius Caesar.